to curate a comfort from the cold. of memory hasn’t quite drained. Blue never, but white; chills. to my, as yet unexposed, pride. from the singer in blue. as I come to drink again from that case. ‘like cormorants of colour’ I love that line and that image. Maybe because cormorants are black, it’s sort of lopsided and lovable. 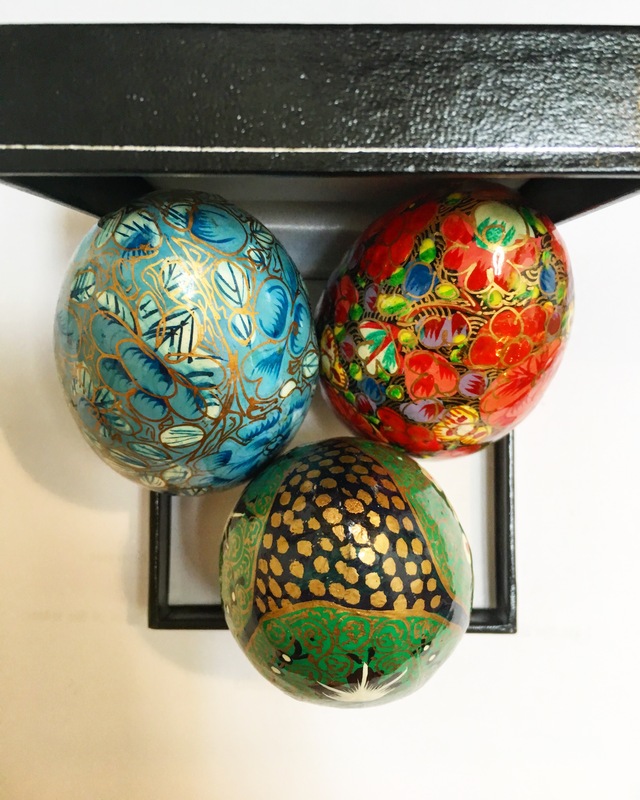 My mother used to paint eggs just like those. They were gorgeous. She didn’t value them much, tossed them in a bowl and if some broke, too bad. I felt like the cormorants deserved a little colour beneath their wings! They were awfully delicate, I think I had more egg on my pants than paint on the shells. Was there something about sucking the actual egg out through a pin hole first before painting? My tongue does not remember that well!! Lovely, the memories in grey and color, the grey mist parting. . . I also like “cormorants of colour,” and all the Joni lines/references. Well you mentioned the Joni song last week and it stuck in the head so I listened to the Hissing of the Summer Lawns album last night in the bath and suddenly there was the poem writing itself, a little less Blue and a bit more Laurel Canyon maybe! 😂😂😂 I wish I could have seen both you and your mother’s face! Joni is always a good reference.